"The Good Bot Every Business Needs "
I've been using ManyChat for just over a year now and love the ability it gives me to grow my online presence, communicates with my prospects and grows our email list. My favourite features at present are the Facebook comment growth tool which helps me to deliver our digital freebies in an away that doesn't require our audience to have to visit a landing page to get the good stuff. We have been able to use the bot to grow our list within our Facebook group, website and blog post to name a few. The fabulous free training ManyChat provides is great but very overwhelming and a lot to do so at times you miss out on the important tech know-how because you may have overlooked it. Wished it was broken down into sections that were simply called 'The Tech Stuff - How to'. I dislike how the path of a conversation looks, found it confusing and at times made me want to restart all over again. Found it difficult to also connect the flow when going back to make edits and wished it was much clearer. I would love if they could offer templates that were specific to particular industries such as fitness, social media agencies and health and beauty companies. This would help newbies to create effective bot conversation paths and know what the right things to say. It helps us to grow our email list, generate more engagement on our Facebook posts and thus improving our organic reach. It's also a great customer service tool to help connect and offer the best service to our customers even when we're away from our desks. "Easiest way to create and learn about Facebook Messenger bots"
Love the drag and drop interface - use it to show the rest of my team what the messages are and what the flow is. I also like the ability to send a preview message to Messenger so I can demo this to others. There is a lot of helpful educational material as well that makes is easy to learn about chatbots. I don't like that you can't preview a growth tool before adding content. For example, if I choose an example popup, it auto-saves even if I don't add any text. Then I have to click back into growth tools and delete. When first starting out, sequences and flows were confusing to me. Clear choice for Facebook Chatbot creation. It allows us to add subscribers to a Facebook Messenger list and update these subscribers automatically. The conversion rates for Facebook Messenger that we see are higher than for email marketing. It does what it needs to do and it's free, which is amazing. I can very easily send messages for my company's bot subscribers, I can segment these messages, I can create sequences, and there are analytics reports for me to analyze in order to measure the performance of the messages I send with this. Great value for money, I really recommend this, especially if you work at a startup like me. Well that's a tough one... For a free product it's got everything I need at the moment. No complaints here. I mean, I don't love the branding, but it's a Fremium service, so can't complain about that. I really like this chatbot service. 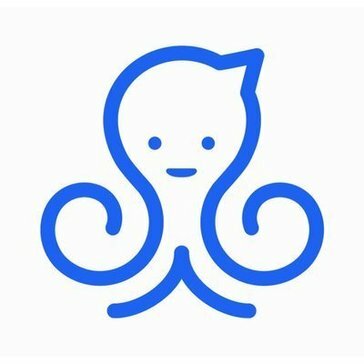 You want a Messenger chatbot that's good value for money? This is pretty good. I work at a startup so we have a small budget and Manychat is great for this situation. It's another way to keep in touch with some customers in a way that pretty much guarantees they'll read the message I send. You don't get this with most channels at your disposal to communicate with your audience. "Many Chat - The easiest Chatbot Builder To Use"
Many Chat is incredibly easy to use and learn. You'll be building and testing your first bot in a matter of minutes. The free version is of great value to any business. If you really want to engage the power of Many chat and messenger marketing you'll want to pay for the pro version which is only 10.00 per month. There seems to be some controversy about third-party tools on Facebook. Many chat was shut down for a few weeks in 2018. Integrations for other messengers like livechat, etc would be great. Autoresponder for facebook messages to our page. This gives you a 100% response rate and the highest rating for response time even if you aren't able to respond to Facebook message right away! "ManyChat is an interesting application"
Manychat has allowed me to generate subscribers for my web page in a very simple way. This software has a totally free trial demo.. Do not ask for bank data for your test and in simple click you can get to have a robot that generates free subscribers. Totally cool. You have to take a little care in the type of subscriber you want to capture because the bot still do not have the intelligence to detect this. ManyChat allows to create a robot for Facebook Messenger in a few minutes without programming. It's easy to use, so I totally recommend it because it doesn't need advanced technical knowledge. Every time someone starts a chat with their page in Messenger becomes a subscriber and this is very useful when capturing new customers. It can be very glitchy from time to time. You may have to wait a little bit for them to correct errors. Some times people do not get tagged to the correct tag which can cause issues and make it hard to keep people organized. If they were able to fix this it would be a great tool. even with that being said I would say it is worth using because of all the benefits when it working correctly. "The product has potential but the customer service is absolutely horrible. " It has a lot of options. I needed it to quickly create a bot for responding to leads. Chatfuel was easier to use but Manychat had a pricing model that fitted my needs better. As opposed to Chatfuel which was so easy to use, I found Manychat extremely complicated to create bots with. Maybe it was like this for me since I was used to Chatfuel, but I just couldn't figure out Manychat's 'Flows' options, despite reading their online material. I built several flows and published them but wasn't able to get my leads to trigger them. The 'highlight' of it all was after I created a flow I wanted to later change and clicked the 'Revert to Published' button, thinking all my recent changes will be reverted. It completely deleted my entire work (not only the latest changes) and I couldn't reproduce it. The worse thing was their customer service - I titled my ticket as urgent (I have huge marketing budgets bringing leads to this bot) but they responded over a week later. Then it became even more frustrating since they gave me numerous solutions which had NOTHING to do with my issue. They just couldn't understand what I'm talking about, suggesting that they themselves don't use their product. Exhausted, I asked them to cancel my subscription. They did refund my money for that month, but a month later I found out they actually didn't cancel my subscription and kept on charging me! I went ahead and canceled my subscription myself, and there - surprise, surprise - found out that cancellation is only valid from the upcoming month. So you need to pay for another unused month. This awful experience cost me time and money and only rewarded me back with frustration. Go with Chatfuel. "Cool features but more limited than custom"
I like their social tools for chatbots and their flow editor is an interesting way to organize chatbot management, but it can be a little clunky. I do not like their NLU support, and lack of ability to integrate third-party NLU product. I dislike that they limit what you can do with Facebook Messenger, as there are some features not available on the platform that Facebook supports. Companies do not own their customer data, so if/when they want to move away from Manychat they will lose data. Building PoC and demos. We built our first marketing chatbot with Manychat but ultimately moved to something custom. "A great starter chat solution with good potential for customization"
ManyChat is very user-friendly and perfect for small to mid size companies to create chat bot functionality at a low cost. Content lanes are easy to map, create and edit in real time while reporting and customization features are readily available. There are certain limitations to ManyChat, the major one being it's reliance on Facebook messenger. While most of our target audience were Facebook members, some people were unable to use this feature due to its reliance on Facebook messenger. Utilize the support groups on Facebook, they are very valuable. Make sure you are able to have someone dedicated to jump in and help answer questions prior to the full setup of your bot. ManyChat allowed us to communicate with our end-user in a succinct tool. ManyChat's ability to provide automated content while also allowing live operators to step in at any moment is very appealing. It also solved for budgetary restrictions with its low price point options. I like that the page is so colorful. I really like the octopus Icon. I like that you can use emoji’s and it’s pretty user-friendly. I think it’s a downfall of it the only thing you can connect to his Facebook. Some people use Twitter and Snapchat and if you’re really old-school my space. "ManyChat keeps listening to their customers & improving"
I like best that Mikeal and the team are great at listening to the community of ManyChat users and building new features to make it work even better for us. It could have more robust error handling. But it's really not too much of a big deal and on par with other marketing automation tools I've used. Growing sales for e-commerce companies whilst reducing their customer service costs. Manychat allows us to create ad campaigns using Facebook messenger that reach directly to our customers inbox. We are able to constantly gain subscribers and reach out to existing subscribers! Manychat has a large learning curve to use successfully and alot of it has to do with the facebook integration. Facebook has limits to what your allowed to do and the manychat configuration can be confusing. Manychat is allowing our company to reach new customers and constantly engage with existing customers. Its a must for small business and I would recommend it to anyone in the field. "ManyChat is a captivating application." Manychat has enabled me to produce supporters for my page in an exceptionally basic manner. You need to take a little consideration in the kind of supporter you need to catch in light of the fact that the bot still don't have the knowledge to distinguish this. I absolutely suggest it since it doesn't require propelled specialized learning. Each time somebody begins a talk with their page in Messenger turns into an endorser and this is helpful while catching new clients. "Moderately easy to use chat bot"
"Perfect For Digital Agencies "
The free plan very features rich! If you have the time you can put lots of automation into place! I use this software to collect leads, book appointments and answer questions. It can get confusing. So many features, I don't know where they hide them all. Even after using the platform for some time, I get lost. Try it out, its Free and very powerful. Helping my clients automate their lead generation process. This tool is great to get new products out there and communicate with customers. You can pair it to your website or pair it to your facebook account. This allows you to do live chats and answer questions customers might have quickly and effectively. "Many Chat - Overview, Pros & Cons"
This software allows personalization with the organization and potential clients / donors (which is my intended use). Everything is processed through one click, including transactions and direct messages. Not many negatives except that the one default blue template is boring and not easily changeable/ customizable. Reaching a greater audience through just one platform - incoming donors now come from various demographics. "A must have tool for anyone using Facebook bots for marketing and lead generation!" The ability to manage client profiles easily to adjust what messages they're receiving. This allowed me to increase customer satisfaction and customer service efforts. In my time using this product, there is nothing I dislike about the product. If you're interested in trying bot marketing for your business, Manychat is a great place to start! Manychat allowed me to have realtime conversations and offer customer service quicker to customers on a social media platform they're already engaged with. The benefits have been better client satisfaction and faster response time. "Easy to use and so many customizable options!" The amount of customization options and ease of use. Software crashes sometimes and bugs out. Very easy to build flows. Direct messaging interested customers on Facebook. Very easy to spin off a chat bot integrated with facebook messenger and it has got scheduled posting, analytics, broadcasting. It has limited AI capabilities and no natural language processing. Easy to broadcast messages to group and its very easy to chat with subscribers individually which helps a lot for our tech group to discuss things and share info. Many Chat is a great way to communicate with others professionally and through an individual platform. I dislike the organization of the main page on the app due to the fact that it could be organized better. ManyChat has allowed for simple, fast, and efficient communication platform in which collegueges and customer can be included. * We monitor all Manychat reviews to prevent fraudulent reviews and keep review quality high. We do not post reviews by company employees or direct competitors. Validated reviews require the user to submit a screenshot of the product containing their user ID, in order to verify a user is an actual user of the product. Hi there! Are you looking to implement a solution like Manychat?